Health and Safety Anywhere is your resource for legislative updates, current trends and everything you need to know within the Health and Community Services, Education and Culture as well as Government, Municipal Public Safety and First Nations sectors. We are your trusted authority on recent events to stay in the know to keep your employees engaged and current on Health and Safety in the workplace. The WSIB has made major investments in new healthcare and workplace reintegration programs. As a result, thousands more injured workers are recovering from their injuries and returning to work. Over the past five years, the number of injured workers not able to return to work within one year of their injury has decreased by 50%. The WSIB offers better, more accessible care and support for injured workers than ever before. In the last year alone, WSIB return-to-work staff made more than 26,000 visits to workplaces to help injured workers get back to their jobs. The WSIB Maximum Insurable Earnings Ceiling for 2015 is $85,200. This is an increase of 1.3% from $84,100 in 2014. Changes to the Maximum Insurable Earnings Ceiling are directly linked to changes in average earnings in Ontario as measured by Statistics Canada, and provisions under the Workplace Safety and Insurance Act. Certification Part One Joint Health and Safety Committee (JHSC) training is appropriate for all sectors and is the first part of the training process for individuals to be certified under guidelines established and enforced by the Ministry of Labour. Changes are taking place to enable standardization. If you complete your training before it takes effect on the anticipated November 2015 date, you will be certified for life and can take your refresher training on your own terms. If you become certified under the new standard, you will be required to have refresher training after 3 years. Workplaces with 20 or more employees must have at least 2 people in the workplace that have completed the certification training. PSHSA will be offering our Cert 1 & 2 training once we are approved with our new curriculum. For information on Certification Part One for Joint Health and Safety Committees click here. For information on Certification Part Two click here. On April 2, 2015, Ontario introduced the Strengthening and Improving Government Act, 2015 (Bill 85). Proposed amendments mean a 2015 Workplace Hazardous Materials Information System (WHMIS). 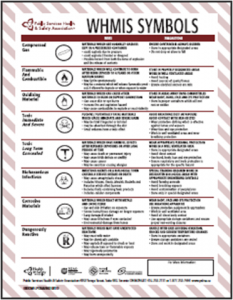 WHMIS has aligned with the worldwide hazard communication system known as GHS - the Globally Harmonized System of Classification and Labelling of Chemicals. The goal is to harmonize and mitigate risks through better understanding across borders WHMIS training is a legal requirement for employees who may be exposed to hazardous materials. To ensure worker protection, employers must train workers about WHMIS 2015 as new labels and SDSs appear in workplaces. Currently here at PSHSA we are building an eLearning module to train your employees and meet compliance legislation. Ontario's Working at Heights Training Program Standard has been established to improve fall prevention and worker safety by setting requirements for high quality, consistent training for those currently using the following equipment: travel restraint systems, fall restricting systems, fall arrest systems, safety nets and work belts or safety belts. PSHSA is in the process of applying to be an approved training provider. We will contact you to book your training once approved. 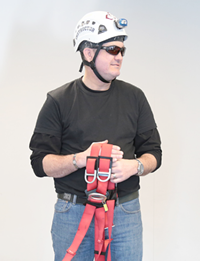 PSHSA is offering Working at Heights training for $100 per person. During the months of May to August you may be visited by a Ministry of Labor inspector during the New and Young Worker blitz as it relates to summer students or workers in new positions. Inspectors will be noting training requirements, orientation processes and supervision plans. As well they will be observing Joint Health & Safety Committee members and other safety measures. See the PSHSA 7 Step Assessment for New and Young Workers:http://www.pshsa.ca/?s=7+Step+Assessment. 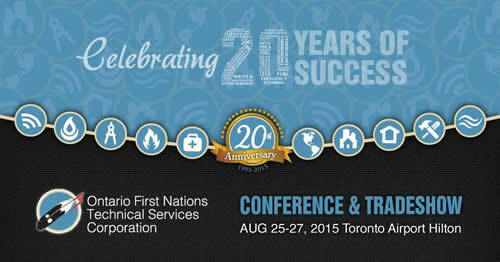 PSHSA is looking forward to attending The Ontario First Nations Technical Services Corporation (OFNTSC) 20th OFNTSC Conference & Tradeshow taking place August 25th - 27th, 2015 at the Hilton Toronto Airport Hotel & Suites, Toronto, Ontario. OFNTSC Conferences and Tradeshows have become Canada's largest First Nation Technical Conference. Last year over 300 professionals from First Nations, Provincial Territorial Organizations, federal and provincial governments and First Nation national advocacy groups attended. 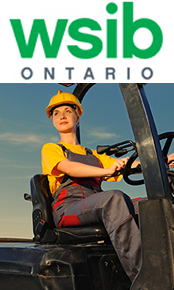 PSHSA will attend CSSE 2015 in Ottawa September 20-23 with the theme of Powerful Partnerships - Sustainability and the Safety Profession. PSHSA has partnered with CSSE to develop a municipal stream for OHS professionals. As we cover more ground in this area we'll be speaking and advocating for change and reducing stigma. PSHSA will have training products and services available to assist with laying the foundation for the standard and how to best assist in creating an environment of success. Watch for website updates in our July eNewsletter. PSHSA product developers are looking at how to best address workplace fatigue and what are the elements of a fatigue risk management system. PSHSA's Management Program will be a complete turnkey solution, based in scientific evidence, which can be easily implemented into your current business practices. PSHSA's expert staff will work with you to help you avoid the headaches of trying to understand this emerging risk and address it to meet your legal requirements under the Occupational Health and Safety Act. The program takes your organization from awareness to implementation and you can choose how you want to do that from a menu of options. For more information on our Fatigue Science initiative contact Glenn Cullen, V.P. Corporate Programs and Product Development at: gcullen@pshsa.ca. Now is the time to review and assess to see what updates you should make to your IPAC resources. Infection prevention and control (IPAC) is an integral component of a workplace's occupational health and safety program and effective strategies need to be in place for the safety and protection of workers. 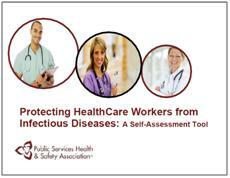 PSHSA has numerous IPAC resources available for your use:https://www.pshsa.ca/ipac/. PSHSA believes in anywhere learning. Our eLearning modules provide access to structured Health and Safety programs 24/7 as your workers can access from any computer on their own time. Our newest module is eLearning for Board of Directors. Board members will better understand their OHSA obligations and the penalties for non-compliance. PSHSA would like to share research from our May 26 Emergency Services Summit. Our guest speaker Dr. Jack Callaghan as the Canada Research Chair in Spine Biomechanics and Injury Prevention, presented research for MSD's, Injury Theory and Ergonomics. This should be of particular interest to those in the ES sector. PSHSA are avid participants on the Section 21 committee including Police, Fire and EMS. Most recent notes are located here. PSHSA's Regional Consultant Derek Morgan explores Employees Participating in Change (EPIC) as he writes about a participatory approach to Health and Safety. In the Spring/Summer Practice Issue of the Ontario Occupational Health Nurses Association Journal, (OOHNA) Derek covers a 6 step approach so that through the use of a participatory approach, workplace parties become actively involved in the recognition, assessment and control of hazards in the workplace. Currently PSHSA are partnering with educational institutions on how we can collectively address training and support for GHS/WHMIS and laboratory safety specifically.